I am wrapping up a doctoral course on emerging technologies this week. I have to admit, this has been the most enjoyable course I’ve taken to date. The subject matter was right down my alley, and there was much more interaction in this course than in previous classes (I’m working on an online degree.). I wanted to take the time to share a few things that were particularly significant to me as I plan for next year. While I have read many wonderful pieces on the blogs of such educators as David Warlick on the subject, gaming is not something I have devoted much thought or energy to. The research makes it clear that games are an effective and engaging way to promote higher level cognitive skills, such as problem solving, collaboration, and creativity. They also reinforce many academic skills, and they do so in a setting which kids actually enjoy. I will be looking for ways to bring games and simulations more attention in our district next year. Learning content management systems, like Moodle, are the present and immediate future of our profession. They make learning objects easily accessible by teachers and students, they facilitate collaboration and communication, they integrate Web 2.0 tools wonderfully, and they draw upon the collective knowledge and experiences of educators. The limited exploration I have done with Moodle this quarter has convinced me that it is well within the capabilities of our teachers and the time is now to get the implementation rolling in BISD. This includes such presentation resources as Elluminate, WebEx, and Dimdim, but it also includes simpler tools, such as Skype and chat rooms. I received very positive feedback from participants in my first Dimdim professional development session, and I will be offering many more next year, perhaps even outside of the district. The convenience and extensive feature set simply make these tools essential for professional learning, and they go far beyond some of the existing online tools used in our district, which are asynchronous in nature. They also have many classroom applications. Elluminate will be available next year, and it will be exciting to see how we utilize the tool, particularly if we can find effective ways to incorporate it into our expanding number of online courses. It just might be an effective method of decreasing attrition and creating a greater sense of community among our online students. Our district’s cell phone policy is now much more open, meaning it will be essential to explore and articulate best practices for utilizing the ever-increasing capabilities of the devices in the coming year. There will be an adjustment period for teachers, without a doubt. However, I truly foresee the wireless Internet capabilities, text messaging, and video/photographic capabilities being put to some creative and powerful applications. In a recent blog post, David Warlick discusses his experience presenting a discussion of the value of gaming in education to a group of parents and educators. 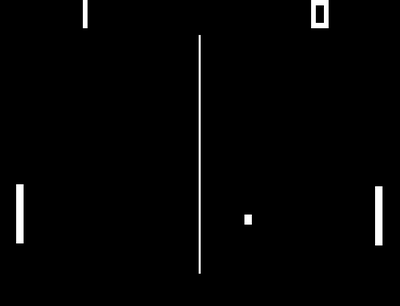 He related some resistance on the part of some attendees, particularly one woman, who challenged his assertation “that the video game generation is more sociable and better collaborators than the previous generation.” The woman asserted that, in fact, the opposite was true, and that today’s students had difficulty interacting and adjusting to life in the work force. Warlick responded basically that there were many factors that “make our children”, not simply their participation in online games, and that most of us struggled initially as we entered the workforce. He also added “that to see and leaverge these skills we have to alter our expectations and even aspects of the work environment and schedule and even the nature of our assignments.” In other words, as I understand him, employers (and, I would assume, educators) need to examine the environment that we create and the type of work we expect our young people to complete and adjust them to better take advantage of the skills that they are developing while playing these games (particularly the online, social-type games). This is an interesting idea, as it calls into question the very nature of many of the standards by which the success of our students is measured, both in the classroom and beyond. It also would require a radical re-thinking of the work environment and the nature of social interaction and collaboration. 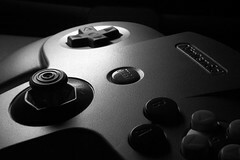 Certainly, avid participants in the online video game culture do engage in many tasks that have either overt or implicit value in the working world. They solve problems, formulate hypotheses, apply subject-specific skills, communicate, and collaborate. However, the nature of these actions is certainly significantly different in many ways than the forms that they would take in a traditional classroom or workplace. Two competing questions come to mind, then, one putting the impetus for change on the student/employee, the second, posed by David, on the employer/teacher. First, how do we take students from the virtual application of these skills to the physical, real-world environment? Research is beginning to bear out the idea that they truly are developing valuable skills, but will they have value if they cannot transfer them? Secondly, what can future employers (or schools) do to make their work environments places which leverage the types of tools that take advantage of young employees’ (or students’) affinity for and skills with these games? For instance, are social networks or simulations perhaps more effective tools for job training than traditional, in-person training sessions with this generation? I suspect the most productive answer lies somewhere in the middle. I do agree with the premise that David makes that systemic change in the workplace should be considered. But I also think that there needs to be a transitional focus, and students need to be able to adapt the virtual experiences and interactions they have used to build their skills to the application of those abilities into marketable and useable traits in the workforce. Adaptability and the ability to respond to changing environments and situations are actually key qualities of the successful gamer, so this should be feasible. I don’t know the solution, but I do recognize the value of online gaming and the diverse skillsets that research has demonstrated can be gained/enhanced. We would be remiss, as educators, not to put some serious effort and thought into considering just how best to take advantage of this fact. Teach”er\, n. 1. One who teaches or instructs; one whose business or occupation is to instruct others; an instructor; a tutor. There are significant differences in these definitions. The first is more traditional, and it depicts the teacher as the provider, source, and demonstration of information needed for learning. The alternative definitions depict a different role entirely, that of one who leads others to the sources of information and understanding. The former entails a significant level of control over what is learned and how it is learned. The latter implies greater freedom on the part of the learner. The former, it might be argued, implies greater structure, while the latter implies a more random order. In the past week, there have been a couple of experiences that have led me to consider just how our profession is evolving from one of a source of knowledge to one of a guide, who leads students through a vast sea of information, so that they may construct knowledge independently. The first was a discussion with a colleague about the fears expressed by a teacher that they would become obsolete. Change is inevitable, exciting, and terrifying. Technology is accelerating this change in education and in the world in general, by connecting us and giving us access to information on a scale unimaginable a few decades ago. It is easy to understand why this can be intimidating to a teacher. However, it is neither rational nor logical to expect that we will become obsolete. It is both rational and logical, however, to expect that our roles will be evolving, and that we will need to work to change our teaching practices to fit the needs of a new educational paradigm. The real challenge will be to develop enough of the critical literacy in teachers for them to be able to become the skilled navigators of information needed to lead our students to understanding. This is by no means a knock on a generation of educators, but it is a statement of the realities of our upbringing and education–information was different, smaller. The exciting part is, if we can change in these ways, the profession can become even more rewarding, as we will have the opportunity to witness so many more “a-ha” moments of self-discovery in our children. If we cannot, well, we very well may be on our way out. The second experience involved the implementation of two technology tools in our district, Blackboard and Moodle. These tools promise to give access and unity to the vast reservoirs of learning objects, lesson plans, assessment tools, and other resources that have previously been dispersed, the property of individual teachers or, at best, small teams of teachers. They also will enable far greater student access to the tools and resources they need to conduct their own learning experiences. Imagine a virtual grocery store of information, open 24 hours a day, where students select the ingredients needed for any recipe they need or desire. 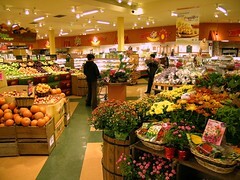 The teacher becomes the store manager, pointing them to the right aisles, the best ingredients. The end result is a motley mix of dishes, each contributing to a grand feast of knowledge. These tools will also allow students to contribute to the collective database of learning objects and information, providing resources for future students and teachers to utilize and build upon. Now, the student takes on a role once reserved for the teacher, a role made possible through the leadership and guidance of that teacher/manager. Learning is about change and growth. The nature of information and access to that information is changing and growing, as well. Teachers are a resilient, dedicated lot, and we will adapt and excel, so long as we are willing to give up some degree of control and put it in the hands of our capable clients. Quadir, who grew up in Bangladesh, where the ratio of people to phones was 500 to 1, also states that the telephone is a weapon against poverty, because increasing connectivity results in increased productivity. Phones act like rivers or highways, improving reliability and enabling specialization. Quadir put his ideas into action, leaving a New York banking job to set up a rural cellular network in his home country. The results have had a dramatic impact, increasing productivity, personal welfare, and the country’s GNP. This presentation struck home with me, as I considered the general view of cellphones in schools today and a new direction being taken by Birdville, my home district. 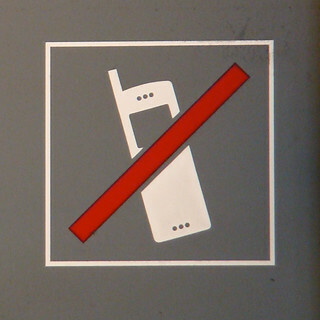 By and large, cellphones are considered to be nuisances, and, if allowed at all, they are only to be used outside of classroom hours or in the case of an emergency. Within the classroom, they are detrimental to the learning process, distracting students from the “important” matters of the curriculum. Here is a typical scenario pulled from last week’s headlines. Through a new, more progressive policy phones are allowed only in high school, and only if out of sight and turned off. Notice this statement: “Last year, 1,253 high school students were cited for violating the cell phone policy.” Clearly, there are serious discipline issues in this school (Sarcasm intended–imagine how much instructional time and effort is used wasted enforcing such policies.). I’m truly not intending to pick on this particular district, because I do believe it is representative of the typical American school system. A technology that has the ability to facilitate communication between students, parents, teachers, scientists, researchers, astronauts, doctors, politicians, etc. is viewed as a distraction. A tool that can be used to take photos, record video/audio. and access the Internet is seen as a means for students to cheat (As if it requires a cell phone to accomplish that. Might as well ban paper and pencils, while we’re at it.). Rather than address their use in a forward-thinking, progressive manner, most schools opt for the easy route, which is, of course, to eliminate the “threat.” How sadly ironic it is that in a land where cellphones are moving toward equaling the total population (230 million subscribers by the end of 2006), where the devices are being put into the hands of students of almost all ages (My 2nd grade daughter has classmates who own them. ), and in a time when the power they possess surpasses the capabilities of the computers I grew up with, we can’t find a way to leverage them in every classroom. Imagine applying the same concepts put forth by Quadir in the classroom. Cell phones used to connect students, used to have instant access to information, used to communicate information instantly between teachers, students, parents. Is it not conceivable that the results would mirror those in Bangladesh? Might students become empowered and connected, and their productivity and power actually increase? Next year will be the first in my own district to put this to the test. We are starting a new era of cell-phone-friendly schools, as we attempt to take advantage of their capabilities and find new ways of using them in our curriculum. It will be interesting, particularly to see how some reluctant teachers respond to the new policy. Students will have to display responsibility and discipline to make it work, as well. If teachers can adapt, and if students demonstrate as much energy, creativity, and excitement in the actual implementation as they did in our recent student technology summit, the potential impact is quite significant. I will be posting further on this as we move forward with this. I’ll also be digging for more success stories of implementation, so please share if you have any! Cell Phone Use Exploding (2007). Retrieved April 23, 2009, from http://china.usc.edu/ShowAverageDay.aspx?articleID=663&AspxAutoDetectCookieSupport=1. Screencasting is the act of recording the actions that occur on your computer screen in video format. It allows users to create video files of presentations, tutorials, and demonstrations that can be viewed in many formats, such as in online, embedded videos, CD-R/W, DVDs, portable media players, etc. Screencasts are powerful instructional tools because they offer learners the opportunity to view materials as often as needed and whenever needed. They efficiently expand the instructional time of the teacher. As an example, my better half has been creating screencasts using free software and Microsoft Paint to produce simple, yet effective videos for her students to review math concepts in class or at home. The videos are available to her students via her class website. An example is seen below. Numerous quality commercial products exist for creating screencasts, such as Adobe Captivate, iShowU (Mac only) and TechSmith’s Camtasia. Both are outstanding products that offer high-quality video and useful feature sets, such as the ability to add text, navigation tools, etc. For the budget conscious educator (all of us, these days), however, there are also some very useful free screencasting tools available that offer plenty of functionality to create useful, quality screencasts. 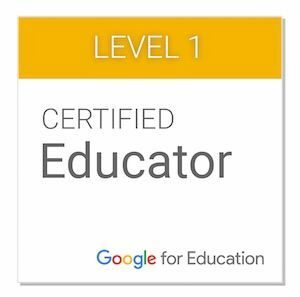 All an educator needs to get started is a computer with an Internet connection and a microphone. For the really ambitious, a graphics tablet is a great addition, as it allows users to write text and make drawings using a stylus, which is much more natural than using a mouse for most users. Graphics tablets of suitable quality can be purchased in many instances for under $50. Jing –Jing Project is a free product by the makers of Camtasia that uses a software download to capture video or still images and works with Macs or Windows PCs. Users set the dimensions they wish to record and the format, image or video. The free version of Jing allows videos of up to 5 minutes in length. Images can be annotated with text or drawings, but videos cannot. Jing Project users get a free account at Screencast.com, which offers online hosting of videos with a single click. Videos can also be saved offline and embedded in blogs, wikis, web pages, etc. Jing offers a paid version, as well, that offers increases functionality. CamStudio –CamStudio is an open-source software tool that lets users create screencasts in either .avi or .swf format. CamStudio also offers some very useful features, such as adding text to videos and adding “picture-in-picture” videos through the use of a webcam. Users can determine the screen area and recording quality, as well, allowing for the creation of videos in large or small file sizes. The interface is very easy to learn, and CamStudio is a powerful and simple tool to get started. CamStudio is a Windows only tool at this time. Screencast-O-Matic –Screencast-o-Matic is a cross-platform, browser-based tool for creating screencasts. Screencasts created with Screencast-o-Matic are stored online on their site, but can also be embedded in other sites or downloaded as .mov files. The video quality isn’t as high as some of the other tools, but, according to the site owners, this helps make the streaming run more smoothly. Users can create videos up to 15 minutes in length and can add notes in the user interface. A useful application of this feature is to create hyperlinked menus to various portions of the screencast. In the online form, viewers can also add comments. Videos can be either public or private. An example describing some of the features can be seen at http://www.screencast-o-matic.com/watch/ci1YYmqh. In whatever format screencasts are created, conversion to formats compatible with iPods and other portable media devices can add to their functionality. Zamzar is a useful, free tool that allows most video formats to be converted to mpeg-4 for this purpose. For more information on screencasting tools, be sure to check out this useful list on the Mashable.com site. Travis Quinnelly has another at Makeuseof.com, and Free Technology for Teachers has a review of a new tool that I haven’t tried (yet), Screencastle.com. Today’s games are colorful, with rich, 3-dimensional graphics, spectacular settings, complex characters, and intriguing plots. Participants interact with characters and other players to solve problems, plan strategies, and defeat adversaries. While the levels of violence are certainly a cause for concern in some instances, the degree of cognitive (and even physical, in the case of the Wii) complexity place demands upon players that we never dreamed about as we sent that pixelated ball bouncing back at our opponent. Little surprise, then, that students both enjoy playing educational video games while simultaneouly being bored by their lack of sophistication. A student who is immersed in a realistic, massively multi-player online role-playing game (MMORPG) is likely to be less than impressed by the 2-dimension quality and simplistic plotlines of most of the educational games that exist. While some improvements are slowly arising in this domain, most are either still too simplistic or are priced beyond what is practical in today’s economic climate. Learners can “explore places he or she could not visit in the physical world.” From the microscopic world of cellular structure to the vastness of outer space, students can virtually go where physically impossible. Learning in these environments can increasingly replicate real-world situations, events, tasks, and objects that might be unaccessible otherwise. Learning in 3D environments involves a greater breadth of cognitive processes, such as visual, auditory, tactile, emotional, etc., resulting in improved learning and retention over simply reading a text or listening to a lecture. 3D learning environments allow multiple users to share the experience simultaneously, interacting, communicating, collaborating, and reflecting together, improving learning. As stated, the variety of such quality, 3D learning environments is limited at this point. However, there are some exciting tools already available. Quest Atlantis is an example. Developed by the University of Indiana, Quest Atlantis immerses participants in a fascinating, colorful, virtual world, with the setting being the mythical culture of Atlantis. Participants are tasked with solving problems that are all focused on saving the dying civilization, and incorporate skills applicable in the sciences, social studies, language arts, math, and more. Specific tasks can be selected by teachers or by students. The game allows interaction with other participants from countries around the globe, offering opportunities for developing cultural awareness, as well. Another example is The River City Project, created by the National Science Foundation, the Smithsonian’s Museum of American History, Arizona State University, and Harvard University. In The River City Project, participants find themselves in a fictional, historical town of River City. They discover that the town has serious health problems, and they are tasked with trying to find solutions to the town’s problems using modern scientific knowledge and practices. Students conduct research, collect data, and formulate and test hypotheses as they work to help the city. As with Quest Atlantis, the graphics are spectacular, tasks are meaningful and relevant to real-world situations, and the student must interact with a range of characters and other users. There are also numerous historical photographs and opportunities to learn about early researchers in the field. 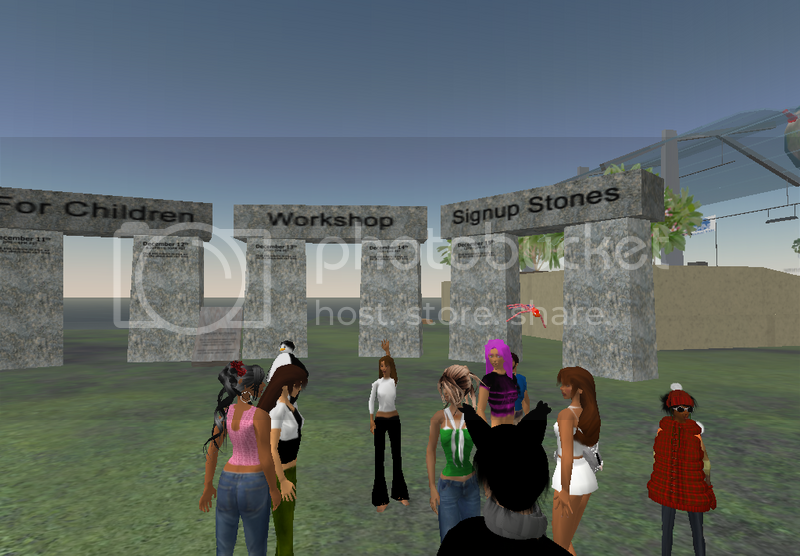 A much more open-ended example of a 3D learning environment is Teen Second Life. While many educators have become familiar with its adult parent, less attention has been paid to the possibilities of this tool, focused on adolescents. Teen Second Life is very similar to Second Life, and users can create imaginative personal avatars, build virtual environments, tools, works of arts, clothing, etc., and interact with users from around the globe. Unlike Second Life, however, participation is both monitored and restricted to teens (and approved adults), with the goal of preventing much of the inappropriate content and interactions that occur in the adult version. As opposed to Quest Atlantis and The River City Project, there is no pre-determined goal for Teen Second Life. This opens up the possibilities for a wide range of applications. Already, students are using TSL for creative applications, such as graphic design, virtual architecture, and fashion design, for creating spaces to meet with other students to study and work on projects, for social activism, and more. Teachers are using TSL to present workshops, interact with students outside the school day, provide guidance on student projects, etc. 3D virtual worlds are exciting for multiple reasons. First of all, they are engaging, far beyond the levels of most educational gaming software. Secondly, they go beyond the basics of curriculum to the development of meaningful 21st century skills that our students will need for future success in school and in life. Additionally, the open nature of tools such as Teen Second Life affords application in a variety of ways across the currilum. Finally, they are exciting because we are just seeing the tip of the proverbial iceberg with regard to their development, and the power and applications possible is constantly improving. For these reasons, they deserve greater attention by educators. If interested in learning more, Thinkquest offers a good overview, as does the Horizon Project. Alessi, S.M., & Trollip, S.R. (2001). Multimedia for Learning: Methods and Development. Boston: Allyn and Bacon.